Acknowledging that a century of damage cannot be undone by a single inquiry, the commissioners issued a comprehensive call to action — 94 recommendations addressed to policymakers and church leaders, but also to a broad range of social and cultural actors. “Reconciliation is not an aboriginal problem — it is a Canadian problem. It involves all of us,” stated Justice Murray Sinclair, the First Nations lawyer who chaired the commission. Indigenous artists have been quick to answer the call. Employing a range of creative devices, they’re carrying forward the work of the TRC, nourishing an essential public conversation on how we reconcile with a colonial past and move forward in a new spirit of understanding. The theme of resistance and renewal is being explored with particular vigour and imagination by filmmakers. “The Indigenous filmmaking community is growing, and a new generation of Indigenous storytellers have voices that are loud and clear,” says Tasha Hubbard (above), a documentarian and assistant professor at the University of Saskatchewan who’s collaborating with journalist/writer Betty Ann Adam on Birth of a Family. Scheduled for release from the North West Studio in 2017, the feature doc offers a powerful insider account of the Sixties Scoop, a practice that saw over 20,000 First Nations children removed from their birth parents and placed in non-Native homes, cut off from their ancestral culture. Birth of a Family is one of over 15 Indigenous-directed projects currently in development, production or release in the English Program – underscoring the NFB’s preeminent position as one of Canada’s leading producers of contemporary Indigenous film and media. The current slate is nothing if not eclectic. It includes a rousing documentary musical; an Instagram project about community building in Winnipeg’s North End; an interactive fable by Mohawk graphic artist Walter Scott; incisive new work from seasoned directors like Alanis Obomsawin and Loretta Todd; and projects driven by emerging talents like Christopher Auchter, Isabella Weetalukuk, Bonnie Ammaaq and Echo Henoche (pictured in banner image). Upcoming releases from the BC & Yukon Studio include the inventive documentary musical The Road Forward (above), in which Metis/Dene director Marie Clements assembles a dynamo cast of Indigenous talent to pay homage to pioneering figures in west coast Native activism; and The Mountain of SGaana, a vivid contemporary retelling of Haida mythology from young animator Christopher Auchter. Cree/Metis filmmaker Jay Cardinal Villeneuve is in production on an artful and provocative doc about residential schooling called Holy Angels, while Metis/Cree director Loretta Todd, who’s renewing longstanding ties with the NFB, is in development on Brother’s Story, a film that parses a complicated sibling bond against the backdrop of ancestral culture. Meanwhile two recent releases from the North West Studio are making waves on the festival circuit. Angry Inuk, co-produced with Unikkaat Studios, is Alethea Arnaquq-Baril’s lively retort to the international anti sealing movement. It has just won the Documentary Organization of Canada’s 2016 Vanguard Award, having already nabbed the Vimeo on Demand Audience Award at the 2016 Hot Docs Festival and Alanis Obomsawin Award for Best Canadian Documentary at the ImagineNATIVE Film & Media Arts Festival. And Katherena Vermette’s this river took the Coup de coeur Jury Prize at Montreal’s Présence autochtone Festival, hailed as a powerfully effective exercise in visual poetics. Inspired by Winnipeg’s Drag the Red project, this river has generated a social media companion called What Brings Us Here, using Instagram to give voice to Winnipeg’s new wave of Indigenous community-builders. Among the titles scheduled for 2017 release from North West Studio is Birth of a Family along with new work from the Igloolik-based Bonnie Ammaaq, the Inuit director responsible for the evocative 2015 short film Nowhere Land. 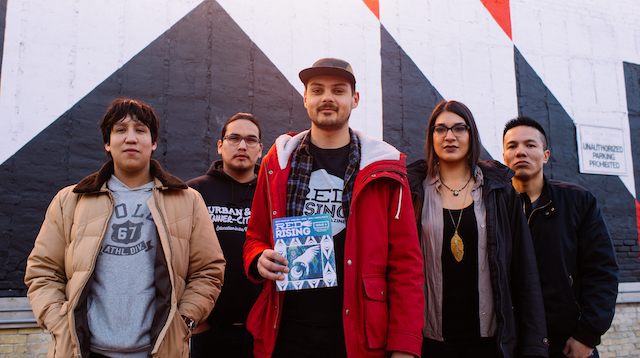 Pictured below: the founding collective of Winnipeg’s Red Rising Magazine, as featured in What Brings Us Here: Charlie Crow, Kevin Settee, Justin Larrivee, Sadie-Phoenix Lavoie, Lenard Monkman. In the Quebec/Atlantic Studio the indefatigable Alanis Obomsawin, one of the country’s most respected documentarians, is in production on a film about the Norway House Cree Nation, profiling a pioneering initiative in First Nations schooling while pursuing her lifelong commitment to advancing the rights of Indigenous children. Her most recent release We Can’t Make the Same Mistake Twice, which premiered at the 2016 Toronto International Festival, features Cindy Blackstock, Executive Director of the First Nations Child and Family Caring Society of Canada, and charts Blackstock’s decade-long legal battle against the federal government on behalf of Indigenous children. Other titles in production at the Quebec/Atlantic Studio include Isabella Weetaluktuk’s Three Thousand, a meditation on Indigenous representation crafted from archival images mined from the NFB stockshot library, and a short animation by first-time director Echo Henoche, a young Inuit artist from Labrador. Elsewhere in the NFB, Michelle Latimer, a senior programmer at Toronto’s ImagineNATIVE Film & Media Arts Festival and a filmmaker in her own right, is in development on a project tentatively titled The Inconvenient Indian (based on the award-winning book by Thomas King) at the Ontario Studio; the Kahnawake-born artist Walter Scott and Bonnie Ammaaq are both creating work for the online sesquicentennial project Legacies 150; and Elle-Máijá Tailfeathers, whose background encompasses both Blackfoot Confederacy and Sámi ancestry, and the Michif artist Amanda Strong recently completed contributions to the Animation Studio’s Naked Island Sessions, a series of issue-driven mini animations. 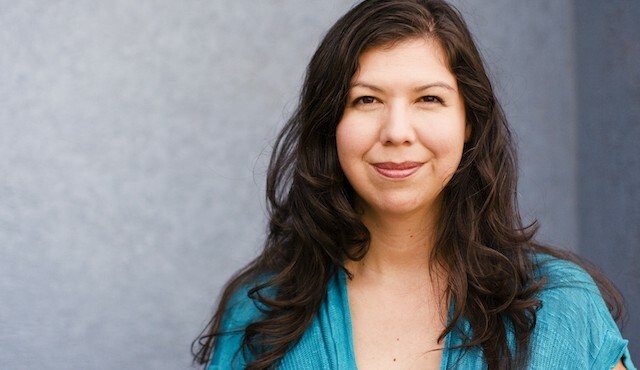 Elle-Máijá Tailfeathers is also in the early stages of a separate doc project with the Northwest Studio. The work of these filmmakers enriches a collection that already contains close to 300 titles by Indigenous directors, consolidating the NFB’s reputation as one of the world’s most important repositories of Indigenous film and media. But the presence of these voices was not a forgone conclusion. It has been a long and protracted process, and Indigenous artists have had to actively claim their place behind the camera. Early ethnographic titles like Eskimo Arts and Crafts (1943), as well-crafted and informative as they were, invariably presented Indigenous peoples from the perspective of the dominant Euro-Canadian culture. And other early work, documentaries like Off to School (1958), actively promoted the federal policies that would later be denounced by the Truth and Reconciliation Commission. It was not until the 1960s that Indigenous directors got the opportunity to put their own stories onscreen. Challenge for Change, a participatory media program established in 1967, saw the creation of the National Indian Training Program which in turn gave birth the Indian Film Crew, the agency’s first Indigenous production unit. The unit’s first release was The Ballad of Crowfoot, in which Willie Dunn, a director of mixed Mi’kmaq and Scottish/Irish background, made skilful use of archival imagery and original music to render homage to a legendary Blackfoot leader. It was the first NFB film to present First Nations experience from an Indigenous point of view. Challenge for Change and the Indian Film Crew went on to produce important Indigenous-directed films like You Are on Indian Land (1969), These are My People (1969) and The Other Side of the Ledger: An Indian View of the Hudson’s Bay Company (1972). Gradually the NFB began to build a body of work that privileged an Indigenous perspective. Few filmmakers rose to the occasion with such energy and vision as Alanis Obomsawin whose first film Christmas at Moose Factory (1971) afforded a central place to children’s voices from the James Bay community. She went on to direct Kanehsatake: 270 Years of Resistance (1993) and other films that are considered landmarks of Indigenous cinema. Others Indigenous directors followed suit — compelling cinematic storytellers like the late Gil Cardinal and Carol Geddes, who later oversaw the NFB’s Studio One, a unit active between 1991 and 1996 that was dedicated to producing work by Aboriginal directors. As a new generation of Indigenous filmmakers comes into its own, energized by the TRC, the NFB is not only producing work by First Nations, Inuit and Metis directors but also supporting a range of training and mentorship initiatives. Earlier this fall the NFB collaborated with the Ford Foundation and Canadian Film Centre to organize Open Immersion, a creative lab designed to foster creative experimentation with VR storytelling, and Elle-Máijá Tailfeathers was among six participating Indigenous artists, along with Scott Benesiinaabandan, Nyla Innuksuk, Kevin Lee Burton, Danis Goulet, and Lisa Jackson. 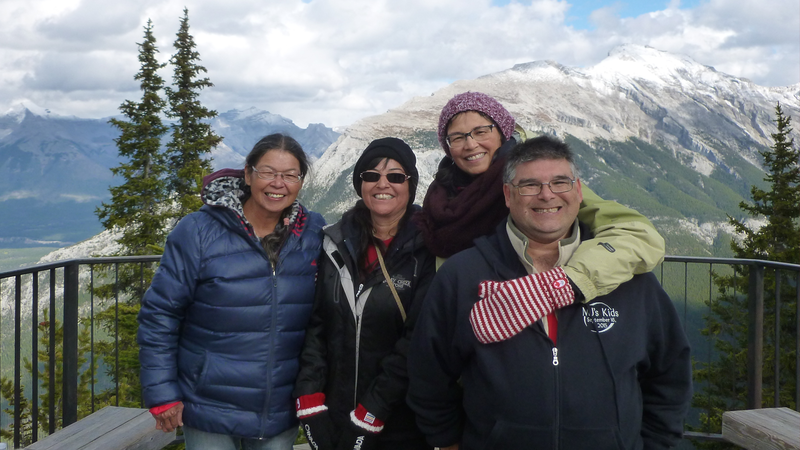 In a similar spirit the NFB has joined forces with the National Screen Institute to support a hands-on mentorship program for emerging documentary filmmakers from First Nations communities. Many of the titles mentioned in this post will be featured in Aabiziingwashi (Wide Awake) — a national tour of Indigenous cinema that that NFB will be taking across Canada over the course of 2017 in conjunction with partners that include APTN, TIFF Bell Lightbox and ImagineNATIVE. The tour is a direct response to the TRC’s call to use works of media to promote dialogue and understanding between Indigenous and non-Indigenous Canadians. Find out more here. In late October Tasha Hubbard and Jesse Wente joined Ry Moran, Director of the National Centre for Truth and Reconciliation, for a panel discussion on the theme of art and reconciliation. It was live-streamed on CBC Arts Sunday Night in conjunction with the TV premiere of The Secret Path, a project initiated by musician Gord Downie. Among the First Nations artists who were singled out for their leadership role in advancing reconciliation was Alanis Obomsawin. 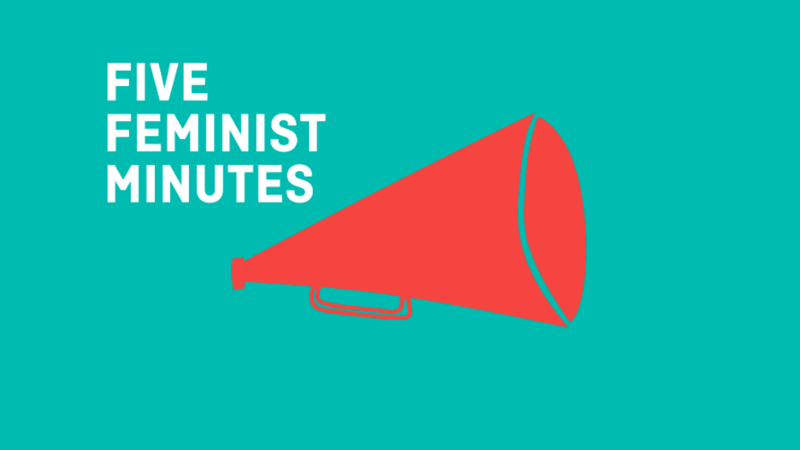 Listen to their discussion here. 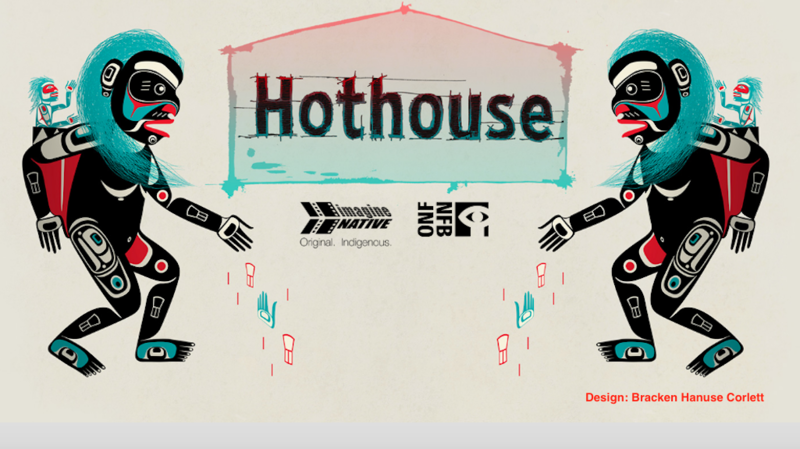 Banner image: Labrador artist and filmmaker Echo Henoche. Above: Director of photography Iris Ng with Katherena Vermette in Winnipeg during the shoot of this river.